Helen Alexander, CBE, the current President of the CBI, has been appointed to succeed Sir John Parker as Chancellor of the University of Southampton, when Sir John reaches the end of his term in office on 31 July. She will be the University’s first female Chancellor. Helen Alexander is known for her wide and varied experience in international business. She is currently chair of the Port of London Authority and Incisive Media, and a senior adviser to Bain Capital. She is a Trustee of the WWW (World Wide Web) Foundation, and chair of the Business Advisory Council of the Said Business School, Oxford University. She holds non-executive positions at Centrica and Rolls-Royce Group and was previously a trustee of the Tate Gallery and held non-executive positions with Northern Foods and BT. She comes to the end of her term as President of the CBI in June. 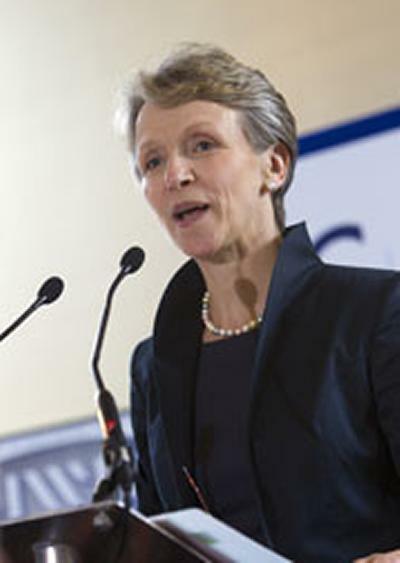 For eleven years (until 2008), Helen Alexander was Chief Executive of the Economist Group, and she was also formerly managing director of the Economist Intelligence Unit. The Chancellor is the principal lay officer of the University. This is largely an ambassadorial and ceremonial role, a key feature of which involves the Chancellor presiding over degree ceremonies at Graduation. Helen Alexander has an MBA from INSEAD and is an Honorary Fellow of Hertford College, Oxford.